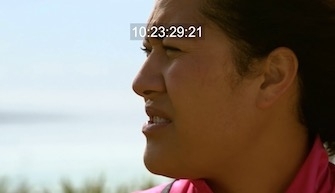 Introducing Blanche, a Maori bee farmer who is as deeply passionate as the other “Bee Masters”, also the name of this docu-series shown on Arte. This particular episode, shot in New Zealand, will air in the coming months. I did the voice-over for Blanche, a woman who knows what she wants and is at the head of a family business that produces the much sought after Manuka honey (Manuka is the New Zealand tea-tree).